Remove the air cleaner upper cover (A). 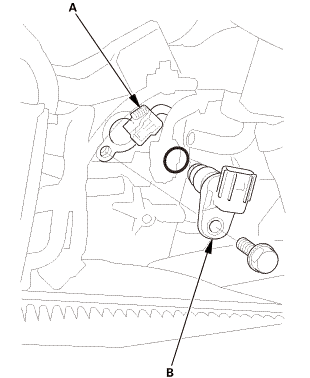 Remove the EVAP canister purge valve and bracket (B). 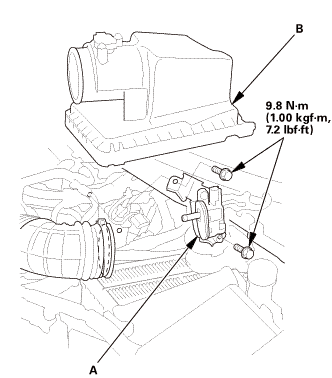 Install CMP sensor B with a new O-ring (A). 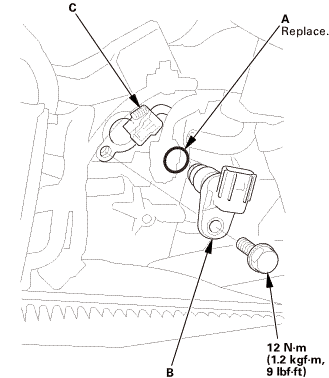 Install the EVAP canister purge valve and bracket (A). 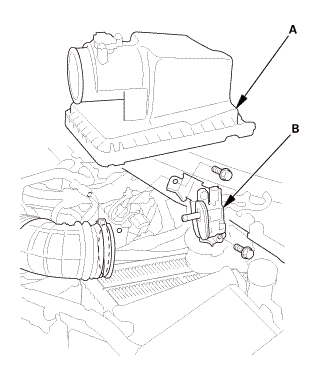 Install the air cleaner upper cover (B).